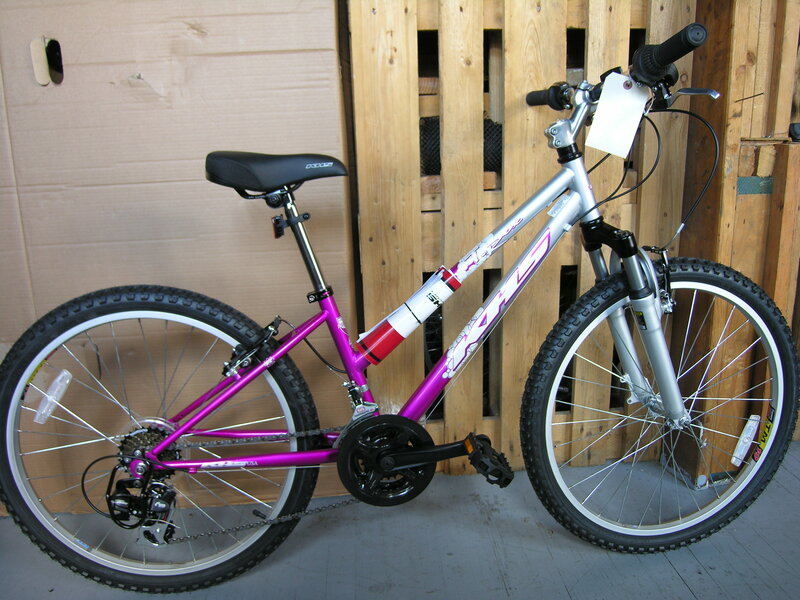 24″ Alloy Wheels, 12.6″ 7005 Alloy Frame with Replaceable Derailleur Hanger, 21 Speed. This bike is an awesome package, it’s scaled properly as a true 24″ with properly sized and adjustable brake levers and is a great bike to grow through or even for shorter adults delivering the quality of better 26″ bikes at its price. Upgraded with Alloy Body Steel Cage Pedals with Strapless Nylon Toeclips and Greenfield Forged Alloy Kickstand with Taxes as Included $375 Done!